Went to the circus with her brothers, Eugene and John Daigle, and sister Carmella Daigle. They all escaped from the burning big top. Nanette (Daigle) Backhouse passed away November 11, 2013. HPD officer, attended the circus with his daughter and they sat in Section F, row 7, seats 6 and 7. He saw the fire in the southwest corner, on the canvas roof of the tent, and they exited out the south side. Attended circus with Rose Maimore and Rose Pantano, and also with his friend Charles Nelson Reilly. They escaped by sliding down to the back of the seats exiting under the tied down canvas (see Carmen DeVito "personal account" on page 5). Donald turned 12 six days after the fire on July 12, 1944, and lives today (2014) in Florida. Attended the circus with family friend Isabel Montana and an unknown friend of Isabel's. Michael's father was a fireman who helped fight the circus fire. Attended the circus with Mrs. Louise E. Morse. They entered the main entrance, turned right and bought reserved seats in the second section past the bleachers (section 'B'), 6 rows up on the right side, about even with the ring. Dr. Blazer's attention was drawn to his left where he saw an 8' to 10' flame between the tent top and the sidewall, about 30 feet away from his seat. Someone shouted "Fire!" and Dr. Balzer and Mrs. Morse began to leave, exiting under a canvas that was being held up. Dr. Balzer was treated for burns and released from a hospital in Meriden, and later awarded $8,000 by the arbitration board for injuries received in the fire. Attended circus with his mother Mary Barberi and others; sat in the Southwest bleachers. Attended circus with Mildred Helm. They originally sat near the animal chutes then decided to move near the entrance for a better view. Both escaped. Image of Marilyn Johnson and Georgianna Barnes, courtesy of Lori Kelley. Attended the circus with her mother, Mrs. Helen Barnes, a sibling, and friend Marilyn Johnson and Marliyn’s aunt Thyra Smith. The two women sat at the top of the bleachers, allowing the three children to sit together in the front row. When the fire broke out to their left, the three children ran almost the entire length of the tent before escaping through a slit someone made with a jackknife. They ran to the car and waited for Thyra and Mrs. Barnes, and when the women did not show up, the children looked for a telephone to call for help. Refused at the first house because the owner demanded payment to use the phone, they went to the next house and used theirs. The children escaped without injuries; Mrs. Barnes was critically burned but survived, and Thyra Smith would be found among the dead on scene. Attended the circus with her daughter, Georgianna Barnes, another one of her children, and friend Mrs. Thyra Smith and Thyra’s niece Marilyn Johnson. The two women sat at the top of the bleachers, allowing the three children to sit together in the front row. When the fire broke out to their left, the three children ran almost the entire length of the tent before escaping through a slit someone made with a jackknife. The children escaped without injuries; Helen Barnes was critically burned but survived, and Thyra Smith would be found among the dead on scene. On the Injured List at Municipal Hospital, 7/7/44. On the Injured List at Municipal Hospital, 7/10/44, critical condition. Attended the circus with a group of convalescing soldiers from Bradley Field in Windsor Locks, Connecticut. The group sat in Reserved Section A, first and second rows. At the conclusion of the animal act, they heard a cry of “FIRE” from behind them and to their left; they looked back and saw fire where the sidewall meets the roof canvas. When the fire began to spread rapidly, the group hurried out of the big top. Barraly assembled the group outside after the fire. Attended the circus with her brother, James F. Barrows, and Maureen Moriarty, and they sat in the Southwest Bleachers, about 5-feet from the Main Entrance and halfway up the bleachers. During the animal acts, Dolores left her seat and walked to an exit at the far end of the tent to buy a Coke. When she returned to her section, she climbed a few seats and looked up and saw a large fire where the canvas sidewall met the edge of the canvas roof, and it was spreading rapidly. She was pushed along by the crowd and went out the Main Entrance. She pulled a little boy along who she thought was her brother but wasn't; when she tried to go back in for him she was carried out by a circus employee. Dolores met up found her brother and Maureen outside. Attended circus with his sister Dolores Barrows and her friend Maureen Moriarty; sat in the Southwest bleachers. Survivor of the circus fire, died December 1, 2012 after a battle with cancer. Attended circus with Robert Onorato's group; sat in the first row of reserved seating section 'H'. Attended circus with her daughter Shirley Anne Bell and Mrs. S. Florence Lee's group; sat in the Northeast bleachers. Attended circus with her mother and Mrs. S. Florence Lee's group; sat in the Northeast bleachers. Attended the circus with two small children, they sat in the first few rows of the bleachers. When the fire began, Alice grabbed the children's hands and quickly exited the tent. Attended the circus with her son Ragner Berglund and Charles Rundell's group; sat in the Southeast or Northeast bleachers. Attended the circus with his mother and Charles Rundell's group; sat in the Southeast or Northeast bleachers. Attended the circus with her daughter Roslyn Berkowitz and nephew Kenneth Nirenstein. All survived, but Fannie was severely burned and hospitalized for several months. Mrs. Berkowitz's daughter Rosyln wrote an essay about their experience at the fire, which can be read here. Attended the circus with her mother Fannie Berkowitz and cousin Kenneth Nirenstein. All survived, and Roslyn was traumatized but uninjured. Rosyln wrote an essay title in 1959 about her experience at the fire, which can be read here. Survived the circus fire. Passed away peacefully on October 4, 2012. Was awarded $2,800 by the arbitration board for injuries received in the fire, including burns to her arms, scratches to her legs, and nervous shock. Mrs. Bissell was the only East Hampton resident to be injured in the fire. She was burned on both arms, and her right ankle was scratched and bruised when she made her escape from the blazing inferno. Attended the circus with her husband, and when the fire broke out they became separated. Both survived. Mrs. Bissell was treated at Municpal Hospital after the fire, and discharged later that night. 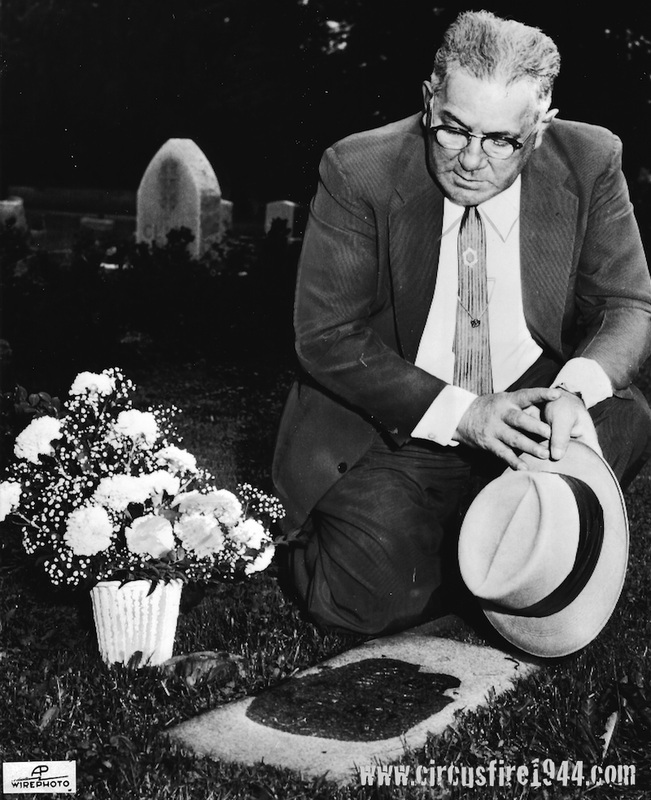 Mr. Bissell attended the circus with his wife, and when the fire broke out they became separated. Both would survive. (now Dorothy (Bocek) Strzemieczny) Attended circus with her sister Stephanie "Stella" Marcovicz, her nephew Francis Marcovicz, and neighbors Blanche and Seth Grape. Dorothy escaped by jumping down from her seat and getting past some animal cages. Stella and Francis would later be found dead at the circus grounds. Proprietor of a restaurant on Albany Ave. Attended the circus, sat in reserved seating section 'V', row 16, seat 7. Rocco saw the fire as the animals were leaving the arena, and people began screaming and pushing. He saw the sidewall burn for a minute or two until the roof caught fire it began to spread quickly. Rocco slid down a pole and escaped. Attended the circus with his mother Lillian Bond and others; sat in the Southeast bleachers. Mrs. Borry jumped and struck her head on an iron pole, then she was stepped on by other people trying to escape the fire. She passed out, and was lying in some bushes when she came to. Molly was awarded $8,500 by the arbitration board for her injuries, including contusions and lacerations to her head, eyes, arms and legs, and nervousness. Red Cross Motor Corps lieutenant accompanied 21 soldiers from Bradley Field to the circus. Hurried the soldiers from the bleachers as soon as the fire broke out, then returned to assist what children they could. Charles Weidman of Pittsburgh was one of the soldiers in this group. Attended the circus with her son (unknown name) and friends Dr. Lawrence and Gladys Mucci and their son Larry. Dr. Mucci calmly guided the group to the opposite end of the tent to a clear exit. Mr. Bradley was a Simsbury firefighter, and the Simsbury Volunteer Fire Company hosts a memorial website for him, including information about his wife and daughters. Probably the sister of Helen Bradley / daughter of victims Frank and Helen Bradley. Attended the circus with his mother Dolly and friends Dr. Lawrence and Gladys Mucci and their son Larry. Dr. Mucci calmly guided the group to the opposite end of the tent to a clear exit. Attended circus with her grandparents Louise and Albert Viering. 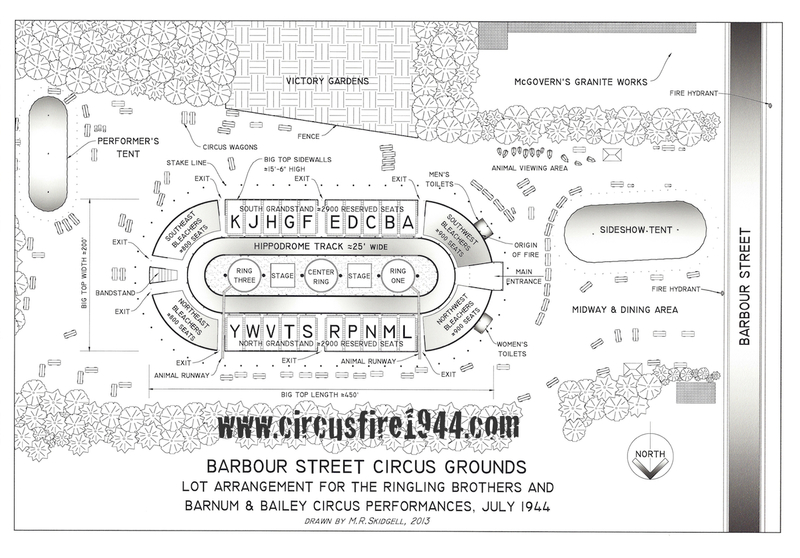 They all sat in Section B, and when they saw the tent burning they jumped the railing onto the Hippodrome track and exited out the east end of the big top. Attended the circus with her daughters Maxine and Bernice "Bunny", and also her son Clarence "Aubrey" Townsend, who sat in a different section. Bernice went down the bleachers and exited the tent with her daughters and the crowd. After the fire, Bernice let the police use her automobile to help bring the injured to the hospital. Attended the circus with her mother Bernice and sister Maxine, all escaped without injuries. Attended the circus with her mother Bernice and sister Bunny, all escaped without injuries. Attended the circus with his mother, Mary Clinton Spencer Brooke, and an unnamed neighbor's child. All would survive. Attended the circus with her son, Clinton Dennison Brooke, and an unnamed neighbor's child. All would survive. Went to circus with her mother, Dorothy Burgher, and sat one row from the top in the reserved seating section. When the fire started, Cynthia was tossed by her mother down to some men on the ground, then she jumped. Went to circus with her daughter Cynthia, sat one row from the top in the reserved seating section. When the fire started, Dorothy tossed her daughter down to some men on the ground, then she jumped. She landed on her feet, sprained her ankle, and fell backward and injured her back and coccyx, and her head struck an object. Mrs. Hilton was awarded $3,500 by the arbitration board for her injuries. Diane (Burke) Wood, attended circus with her mother Helen Burke, and her mother's friend and her two boys. All would survive. Attended the circus with her daughter, Diane, and with a friend and her two boys. All would survive. (now Jeanette Hughes) Attended circus with siblings Joanne Burke and Leonard F. Burke and neighbor Ethel Akin. All four escaped through the tent sidewall unharmed, except for nightmares. Jeanette's story can be read here: After 70 Years: Vivid Memories of the Circus Fire on July 6, 1944. (now Joanne Goodnow) Attended circus with siblings Jeanette C. Burke and Leonard F. Burke and neighbor Ethel Akin. All four escaped through the tent sidewall unharmed, except for nightmares. 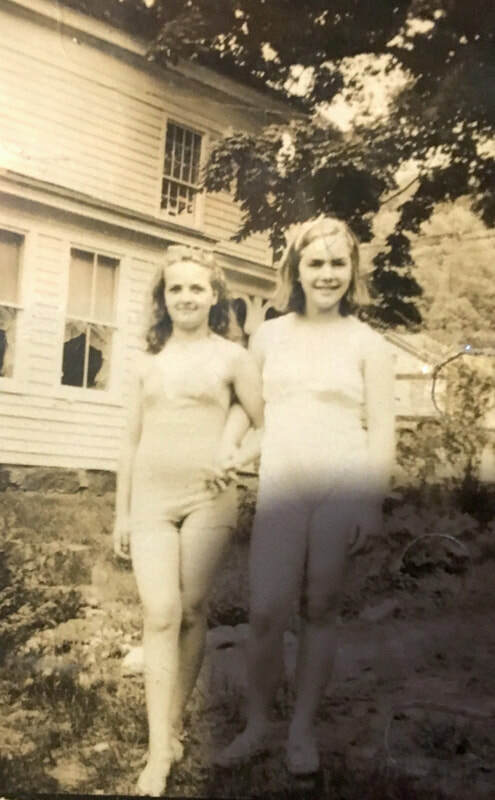 Joanne is mentioned in her sister Jeanette's story, which can be read here: After 70 Years: Vivid Memories of the Circus Fire on July 6, 1944. Attended circus with sisters Jeanette C. Burke and Joanne Burke and neighbor Ethel Akin. All four escaped through the tent sidewall unharmed, except for nightmares. Mr. Burke passed away in 2013. 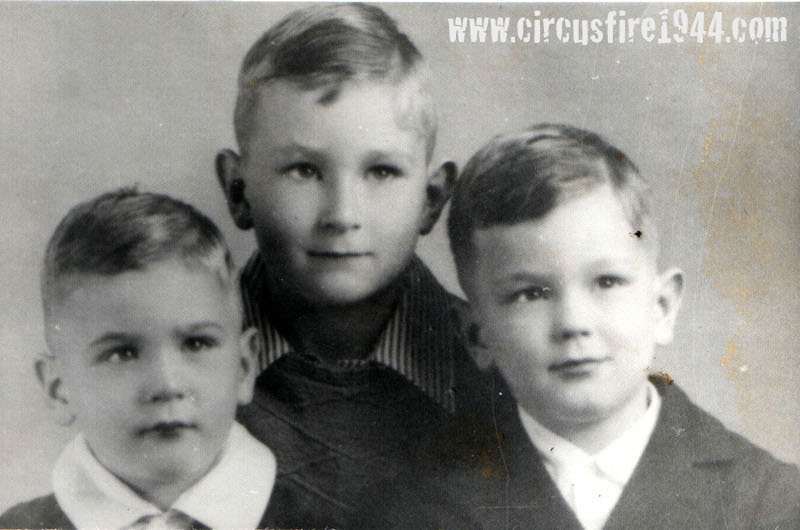 Leonard is mentioned in his sister Jeanette's story, which can be read here: After 70 Years: Vivid Memories of the Circus Fire on July 6, 1944. (now Patricia F. Dolecki) Attended circus with a group of children from The Children's Village on Albany Avenue in Hartford. Patricia remembers the fire started to the right of the bleachers where her group was sitting. They had to jump from the bleachers to get out, and noone in the group was injured. The Bushnell brothers: Ralph "Billy", James, and Frank. Attended the circus with Charles, Cora, Elizabeth, Mary and Nellie Wallace, and Ralph, Frank and James Bushnell. All nine in the party survived. Attended the circus with Charles, Cora, Elizabeth, Mary and Nellie Wallace, and Elizabeth, Ralph and James Bushnell. All nine in the party survived. Frank ran from his mother when the fire started, and was later found sitting on the porch with a young girl who took him to her house. Attended the circus with Charles, Cora, Elizabeth, Mary and Nellie Wallace, and Elizabeth, Ralph, and Frank Bushnell. All nine in the party survived. James married Mary Wallace 17 years after the fire. See Mary Wallace Bushnell's story on Personal Accounts Page 2. Attended the circus with Charles, Cora, Elizabeth, Mary and Nellie Wallace, and Elizabeth, Frank and James Bushnell. All nine in the party survived. Billy was found several hours after the fire at the Brown School. 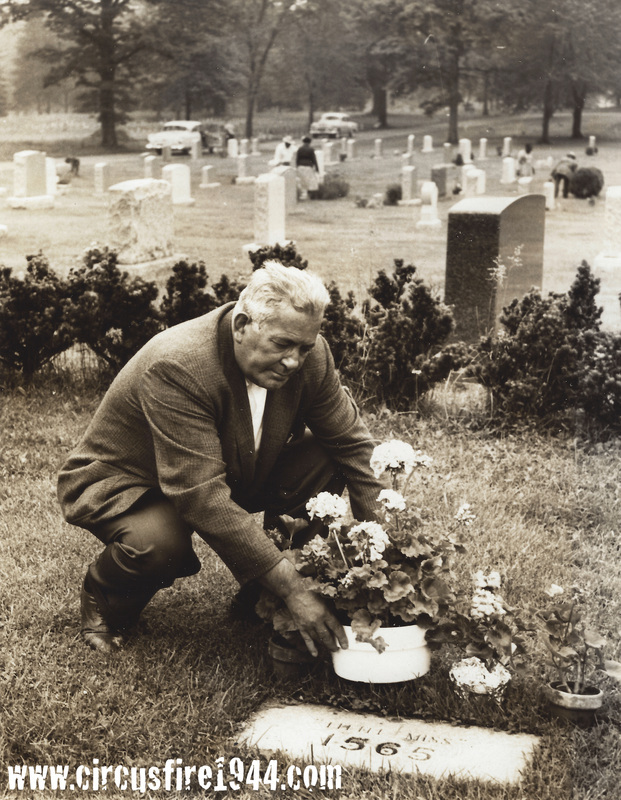 His father Ralph had searched the morgue for his son but thankfully did not find a match.